When someone says “mountain rifle” I think “mountain game,” which, to me, generally means some variety of sheep or goat (of which there are many around the world). But let’s be fair about this; bears, elk, and red stag might be pursued in high country, and Africa has several mountain antelopes. So, when I think “mountain game” and “mountain rifles” I’m thinking more about conditions than specific animals: Steep and treacherous terrain that might also be high. One constant, regardless of game or specific mountain range, is that the shot you draw can be anything, close or far, windy or calm, easy or difficult. You have worked very hard to get that shot, and, an unfortunate constant with sheep and goats, probably invested heavily to get that chance. You don’t want to blow the shot; it might be the only chance you get. Choice of rifle, cartridge, load, and optic is extremely important. My first “mountain hunt” was in northern British Columbia for Stone sheep and Rocky Mountain goat back in 1973. My choice, a heavy .375 H&H, was wildly unsuitable, and it worked just fine. Since then I’ve made some suitable and other unsuitable choices. On his first Marco Polo argali hunt Boddington used a long-barreled 8mm Remington Magnum. He describes this as one of many “wildly unsuitable” choices…the power isn’t necessary and the rifle, though accurate and dependable, too heavy. On his sheep hunts later in life, Jack O’Connor usually carried a walnut-stocked .270 mounted with a 4X scope. So, let’s take a quick look at the basics of his “last” favorite sheep rifle, Biesen Number Two, based on a Winchester M70 Featherweight .270. O’Connor loved good walnut, but synthetic sporter stocks and laminates were almost unknown when O’Connor passed in early 1978. The .270 Winchester had long been his favorite cartridge. I’ve dabbled up and down the scale, but, specifically for sheep and goat, the older I get the more I think he might have been right—or at least very close to right. The .270 Winchester is pretty hard to beat. You see, despite the current rage for extreme range shooting, in my experience serious long-range shots are rare in mountain hunting. For one thing, there’s an awful lot riding on shots at sheep and goats; you shouldn’t take chances. For another, mountain winds are fickle and unreadable. Doesn’t matter what equipment you have, if you can’t make a good wind call you have no shot. In O’Connor’s day, variable-power scopes weren’t quite perfected and were widely distrusted. Today the variable scope is king, but for mountain hunting I don’t like to carry, and really don’t need, the largest and most powerful scopes. 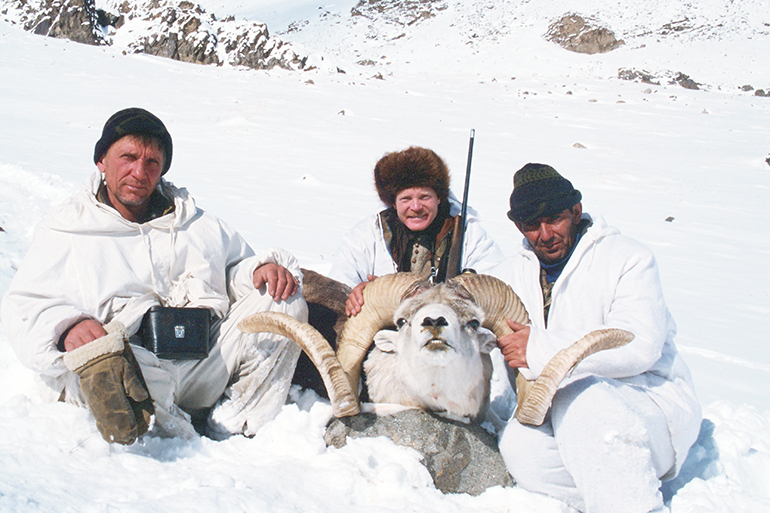 I’ve shot a blue sheep at about 16,000 feet in Nepal at 515 yards, and a Dall sheep in the Yukon at just over 500. There have been a few more shots between 400 and 500 yards, but all other shots have been shorter (and some very close), with an average somewhere between 200 and 300 yards. Accuracy, dependability, and confidence are probably more important than raw capability. Jack O’Connor with one of his last rams, taken with his long-time favorite “Biesen Number Two,” circa 1973. In O’Connor’s day synthetic stocks were unknown and variable scopes widely distrusted. A constant is the .270 Winchester chambering, still a finechoice. I don’t think I have a perfect mountain rifle, but Donna has a rifle that comes pretty close. It’s an MGA .270 she’s had since 2006, and recently had refinished. The rifle is very light, with a slim barrel and skeletonized action fitted with a Leupold 3.5-10X. It’s been very accurate and dependable. 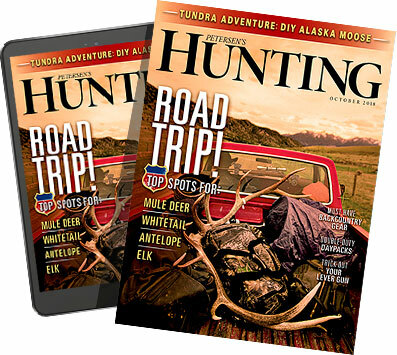 The .270 cartridge isn’t exactly perfect on some mountain hunts when larger game, such as bears, might be on the menu, but the combination of cartridge, medium-range variable optic, light weight, Cerakoted barrel and with a synthetic stock is exactly right. We’ve shared that rifle on numerous hunts. I’ve had several “mountain rifles” that came close, including not one but three different rifles in .270 WSM, none of which seemed quite perfect enough for the long term, largely because of the feeding issues inherent with the short, fat cartridges. Then, of course, there’s my perverse stubbornness. I’ve carried my long-barreled 8mm Remington Magnum up too many mountains. It was super-accurate, but just too heavy. Plus, no sheep or goat requires that much power. Donna and I both frequently use Blaser R8s, which are consistent and wonderfully modular. Typically, she uses a .270 barrel with 3-9X scope. I like a bit more magnification, so I usually use something on the order of a 4.5-14X with a .300 Weatherby Magnum barrel. 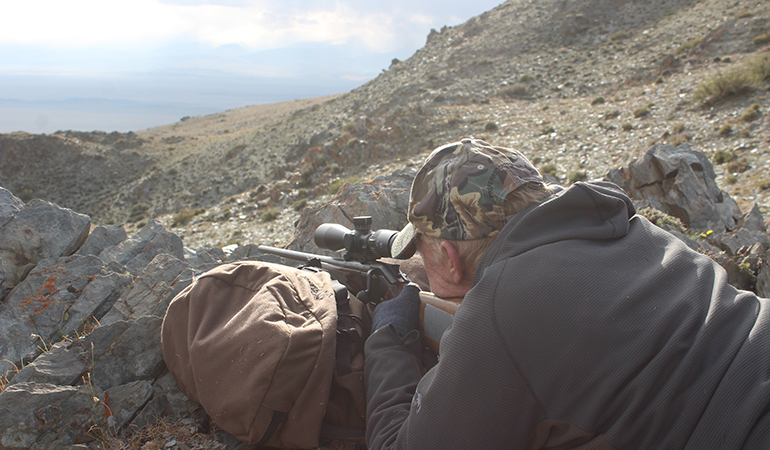 Admittedly, the Blaser system is heavy, but some mountain hunts are tougher than others. I don’t have anything as light and handy as Donna’s MGA .270, but I do have a synthetic-and-Cerakoted rifle that comes pretty close. It’s a Jarrett Ridge Walker in .300 Winchester Magnum, currently wearing a Leupold VX6 3-18X with CDS turret. Last year I took it on a backpack Dall sheep hunt in Alaska’s Brooks Range. Lest I appear inconsistent, I also had a grizzly tag. A fast .30 offers a bit more flexibility if larger game might be on the menu. Ultimately, however, it depends mostly on the confidence you have in your rifle. 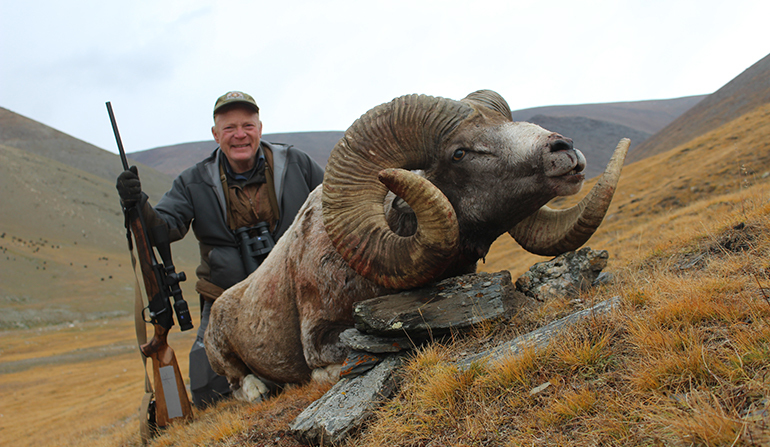 In September 2018 we were planning a hunt to Mongolia for the world’s largest sheep. We were a foursome, Joe and Sara Bishop, Donna and me. Just a couple weeks out Joe had health issues and couldn’t go. The practical option was for Donna and I go do, so we did. I wasn’t too worried about the weather, and I also wasn’t unduly concerned about weight: In Asia you usually have a lot of help (sometimes more than you need or want). So, I went with the Blaser R8 with .300 Weatherby Magnum barrel, topped with Zeiss’s new Conquest 4-16x50mm scope with 30mm tube, using Hornady 200-grain ELD-X. Donna might have used her MGA, but it was in the shop so she carried her Blaser .270 Winchester loaded with Hornady 130-grain SST. Jack O’Connor would have loved her choice of cartridge and would have been horrified by mine. Exactly what they might have thought of the modern, modular, and oh-so-repeatable Blaser system is hard to say, but provided adequate accuracy and power and absolute reliability there are many good choices. It really comes down to confidence in your choice. That we had, and both rifles performed just fine.